Essentially, this means that even if you go through the necessary steps with a patient’s healthcare insurance and your staff is granted the authorization they need in order to perform a service, there is still a chance that the claim you submit is denied. Prior authorization denials can be very frustrating, especially when you went through appropriate process. 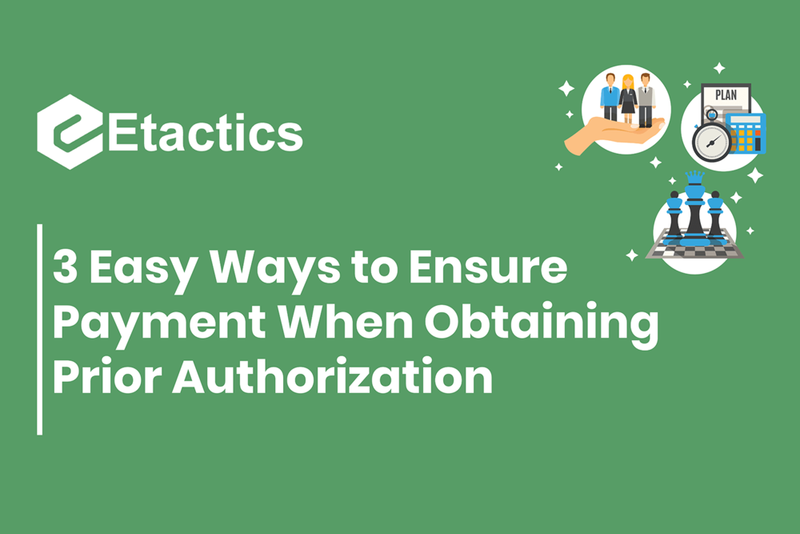 So what are some easy ways to ensure payment when obtaining prior authorization? Within every healthcare insurance’s health plan policy, there is likely a “Summary Plan Description” section. That section is extremely important because healthcare plans only reimburse for covered services. Covered services are those services that are defined by the healthcare insurance company as medically necessary. In order for a claim to be eligible for payment, the claim must meet all conditions outlined within the Summary Plan Description. If the procedure or service is not outlined within that section and performed, that claim be denied. Timely filing limits are a pesky, ever-looming deadline that your healthcare organization must consistently stay on top of and understand. Let’s say your healthcare organization went through all of the necessary steps involved with prior-authorization and was approved to conduct the service or procedure. The patient comes in, the procedure occurs, and the insurance claim is made. However, let’s say your organization hasn’t established ways to ensure your claims are submitted within their timely filing limits and the claim doesn’t get submitted for more than 90 days after the date of service. Well, as it coincidentally turns out in this example, that patient’s healthcare insurance has a timely filing limit of 90 days after the service was rendered meaning your claim is denied. Luckily, there are a few simple tools and practices out there that these struggling healthcare organizations can take advantage of that will instantly help them submit claims within their timely filing limits. This one may seem like an obvious reason but can sometimes be complicated, especially when referring patients to multiple specialist doctors. As an example, let’s say that a patient comes to your healthcare organization and needs specialty service that your office does not perform. In this case, the patient will need what’s referred to as a referral. A referral is required by the patient’s healthcare insurance in order for the specialty service to be covered. Before the specialist can perform any procedure on that patient, they are responsible for prior authorization. Once the specialist performs the necessary prior authorization, they are responsible for filing the claim. In some cases, a mix up can occur and the original healthcare organization, the one who referred the patient to a specialist, may file the claim. That scenario is usually attributed to human error but, nonetheless, results in a denial. We are pleased to announce a new partnership as EncounterWorks' preferred clearinghouse. We look forward to working with their clients and place a special emphasis on the customer service we provide for them. Furthermore, current EncounterWorks clients can look forward to a plethora of new features that make it easier than ever to send and receive claims.